If my House is at Risk of Repossession what can I do? Home > Avoiding Debt > If my House is at Risk of Repossession what can I do? Keeping up with your mortgage payments can be hard, especially when you’ve remortgaged onto a deal that is considerably higher than you had before. Of course this is going to be the case for many people in the coming months as mortgage lenders change their criteria and reign in many of their better deals. However, as many people have become acutely aware of this year, if you fail to pay your mortgage payments you may find yourself at risk of repossession. Repossession is a very difficult thing for anybody to endure. After saving up and finally making it on to the property ladder you suddenly find yourself having to surrender your house and moving into rented accommodation. Watching your home that you have lovingly spent time decorating in your own way and that holds all your memories be taken over by creditors can be soul destroying. But if your house is at risk of repossession there are some steps you can take to avoiding it. 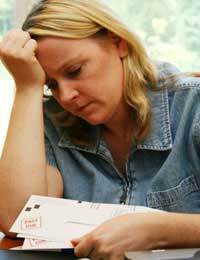 Repossession takes place when a person can not afford to pay back their mortgage debt. If you are unable to pay back your mortgage and do not meet your repayments your house is at risk of repossession. It does not happen after missing one or two payments but if you do not meet your payments for several months and do not seek help then it is likely your house may be repossessed. Why is Repossession more Common Today? Repossession is more common today than it has been for recent years. This is mainly down to two reasons: the credit crunch and the rise in interest rates. The credit crunch in the US, and it’s affects in the UK, and the rise in interest rates over the last two years have meant mortgage payments have increased and people are no longer able to afford them. However the lending period before the credit crunch is also to blame. Before the credit crunch lenders lent money to people with little regulation. Anyone who wanted a mortgage seemed able to get one. Following the credit crunch and interest rate rises when mortgages returned to what some consider normal and other consider harsh those people who took out mortgages are no longer able to repay their mortgage. Nobody wants to have their homes repossessed yet some people do little to prevent it happening. If you believe your house is at risk of repossession you should firstly consult your mortgage broker. If your mortgage broker is independent i.e. not connected to any specific lender he or she should be able to help you find the solution whether that be talking to your lender to arrange a repayment holiday or remortgaging to a better deal. If you do not have a mortgage broker then you should speak with your lender directly. Tell them you are having difficulties and why and see what they can offer you. Alternatively speak to a debt counsellor and ask their advice. The worst thing you can do is ignore the situation. If you do this repossession is likely to take place.